Yes, it's Fake Fur!!!. 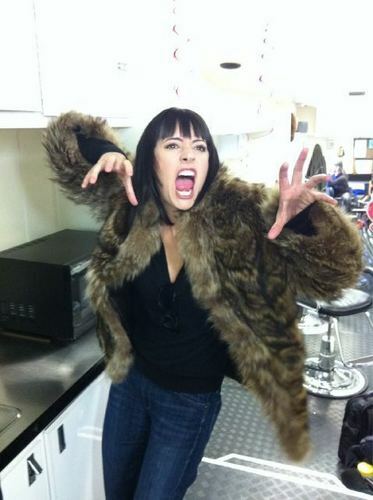 Paget bein' funny Bangtan Boys of criminal minds. fotografia posted on twitter 2/10/11 por criminalminds makeup man Dayne Johnson(@dayne9165).. Wallpaper and background images in the paget brewster club tagged: paget brewster. This paget brewster photo contains casaco de pele, gola de pele, sotaque de peles, colar de pele, casaco, and sotaque de peles de pele.